dominika's notebook: Drunk, hopeless and compelling: A short guide to a collective suicide in a good style. Polish docs @ Open City Festival in London. Drunk, hopeless and compelling: A short guide to a collective suicide in a good style. 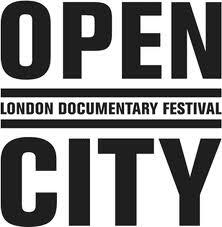 Polish docs @ Open City Festival in London. Watching Polish films with foreign public always makes me feel uneasy. I hate this weird fear of finding myself in the position of having to act as a translator of what might have been lost in (often beyond verbal) translation . I hate this terrible moment when somebody nods with politeness and I know that he/ she has no clue whatsoever of what I (or the film) are talking about. Needless to say, the potential embarrassment is even bigger, when it’s about films that I have not seen. And that is the case with the Polish shorts we are bound to see. With bunch of friends, artsy London crowd and skeptical and slightly hangovered Tadek (this detail will prove important later on). Just on a footnote, a night before five of my six friends leave the cinema during the Czech screening of the film called Cinema-therapy. Gunes, who almost made it till the end, told me later that she had stayed so long as did not want to leave me alone. My slavic soul already cries. Third film, The Doghill, tells a story of shepherds in Tatry mountains, who, surrounded by nature in its full sexual exposure with constantly copulating sheeps, dogs and horny cows, talk about their women who remain down in the valley ... yet, there are some existential forces that prevent them from getting down to see their wives and overcome own loneliness . At this point I promise to my friends (who are - surprisingly- still around) that the last film owill surely be joyful and fun. I completely do not believe in what I am saying. All of the films are actually very good ones. It is just that they are terribly sad. Interesting also, how from London perspective they all look actually quite similar. There is this overriding sense of melancholy in them. Life is an existential struggle and hope does not come easy. And there are characters that live the life as it is, that face the conflicts, do bad things (mostly alcohol related) and struggle. And somehow the seem to be grand in their own humiliation. And the dark sense of humor that exposes the everlasting pessimism, where vodka is the only cure. We leave the cinema and 60 minutes after we still talk about images what we had seen. Gosh, Poles are painful! Sometimes one needs painful.